A Tonk's Tail... err, Tale...: Thursday Trivia: Dogtrot or Foxtrot? Well, I have to admit, when I heard the phrase “dog trot,” my brain immediately did a mental substitution. I kept expecting to find it defined as a type of dance – but nothing of the sort came up in my research. Of course by now, you’ve already guessed that I had transposed “foxtrot” and “dog trot”. A foxtrot is a dance that debuted in 1914 and almost exclusively was performed to ragtime music. It was the first dance to combine both quick and slow steps, allowing for greater versatility on the dance floor. According to musician and songwriter W.C. Handy, the foxtrot was created by a husband-and-wife duo named Vernon & Irene Castle. As interesting as this tale may be, the vast majority of dance history buffs argue that the dance was created by early-1900’s Vaudeville entertainer Harry Fox, thus its name. Despite its murky origin, there is one point on which all dance historians agree: the foxtrot made a powerful impact on ballroom dancing and many argued it even influenced the music written during the early twentieth century. 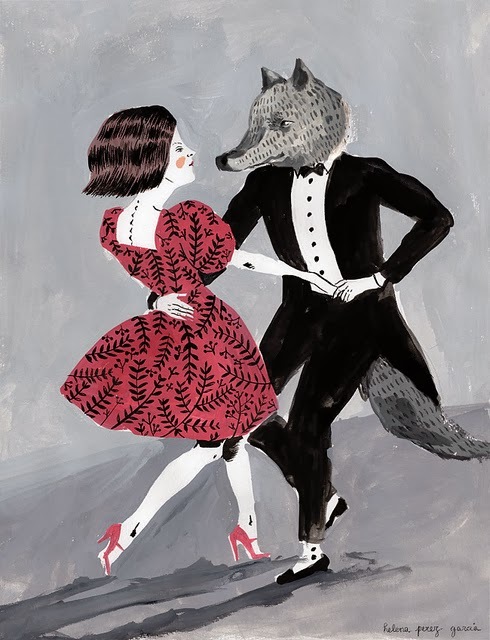 And lest we leave you thinking that the fox has upstaged the dog in this week’s trivia, we would like to point out that “dog trot” has an interesting alternate meaning, one that those living in the Deep South may recognize. A dog trot is an architectural element found in many homes in the rural south. This open (but covered) breezeway connects two separate but enclosed structures under one roof. It allowed for more air circulation and cooler temperatures during hot summer days. At any rate, the dog trot predated the foxtrot by almost a century! Too bad Harry Fox wasn’t named Harry…Dog? That was an interesting alternative about the houses in the rural South. Well we always learn something new here. Have a tremendous Thursday. MOUSES! I never knew 'bout that breezeway business. There are two houses over on the next street that might have dogtrots. I say 'might' because in both cases, the breezeway separates the house from the garage. Don't know if garages count. I've never been in either dogtrot but I see 'em, from the car, when goin' to visit my doctor. Hrm, wonder if there's a distinction with the garage??? We don't know! Maye you could COIN something there, Nissy. Kitty-breezeway? Interesting! We had know idea those were called dogtrots! Hope you kittehz have a great Thursday. MOL!! Well we figured CAT-Trot just didn't work so well. . .
We want a Cat-Run in our house! and we are sooo jonesing for a Catio, a REAL-LIVE CAtio!!! Wow! Mes learned a LOT today! Thanks yous!! !